Family Planning NSW advocate for the reproductive and sexual health and rights of every body in every family, and support people in our community who are marginalised and vulnerable. As a leading Australian provider of reproductive and sexual health services, Family Planning NSW is frequently consulted on policies and practices related to our expertise. Our focus is to translate research findings into clinical practice and teaching and in guiding government and other decision-making bodies on best practice reproductive and sexual health services and rights. We are recognised as an expert commentator and opinion leader in reproductive and sexual health. We ensure the latest research and clinical excellence is highlighted when positioning Family Planning NSW as the preeminent voice for reproductive and sexual health both in Australia and globally. Our official organisational positions on current topics and issues are listed below. Our work is focused on increasing access to quality health and education services with an emphasis on achieving long-tem impact on marginalised groups and saving women's lives. We are committed to long term capacity building of NGOs and health systems to address areas of reproductive and sexual health need in the Pacific. Our advocacy work is strengthened through media appearances, social media, lobbying, policy engagement and formal participation in government processes. 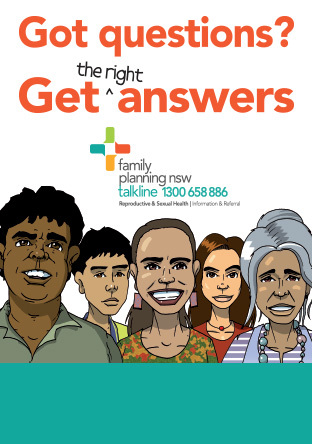 Family Planning NSW is committed to using images and messages in communications that are not only authentic to the context, person and terms of consent given, but also portray affected people in a manner that respects their dignity, values, history, religion, language and culture. Family Planning NSW advocates for reproductive and sexual health rights at a global, regional and national level by working with the Australian Government, regional governments, UN agencies, international and local non-government organisations and partners.